I am still gearing up for the holidays just around the bin. And my craft booth really needs some more goodies to get shoppers in the mood. 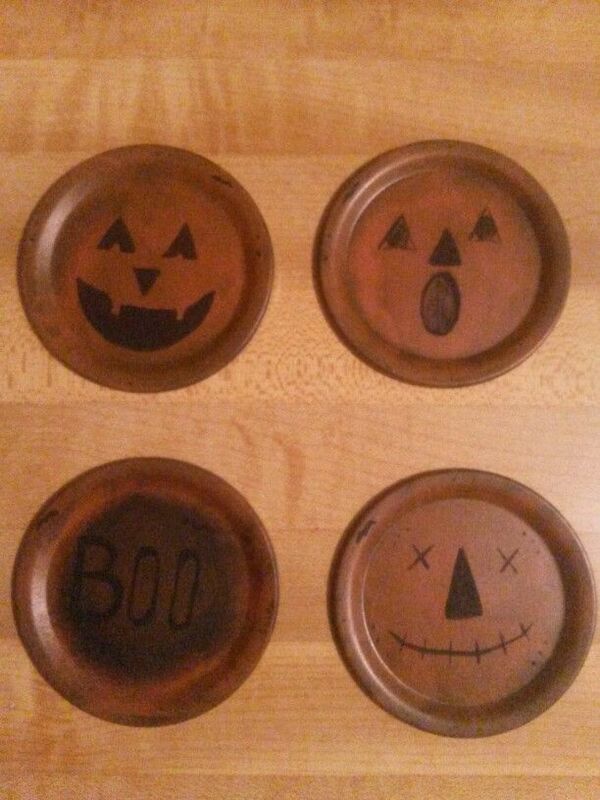 So here are some Halloween themed refrigerator magnets that I made using some old, leftover mason jar lids. 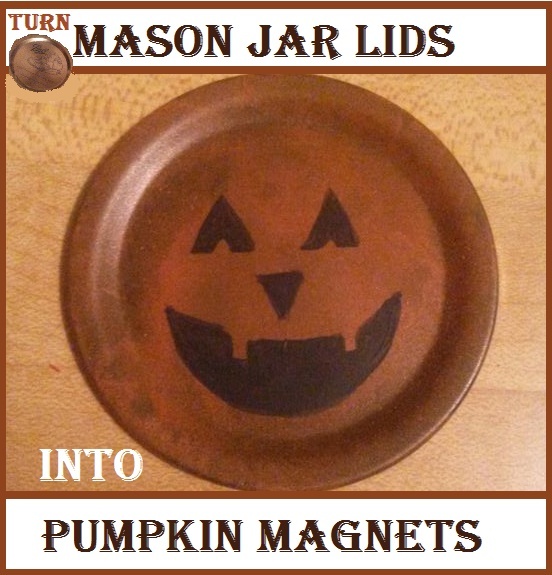 Making the Mason Jar lid pumpkin magnets is a pretty simple craft but really kinda fun. 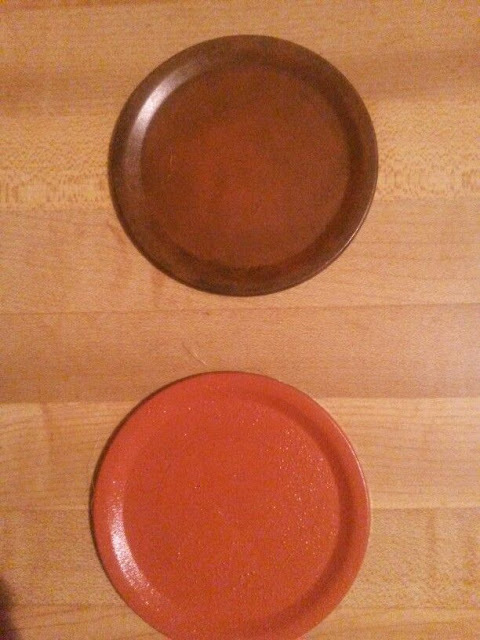 And then do a second of a orange color. I chose Cinnamon in the Apple Barrel line. 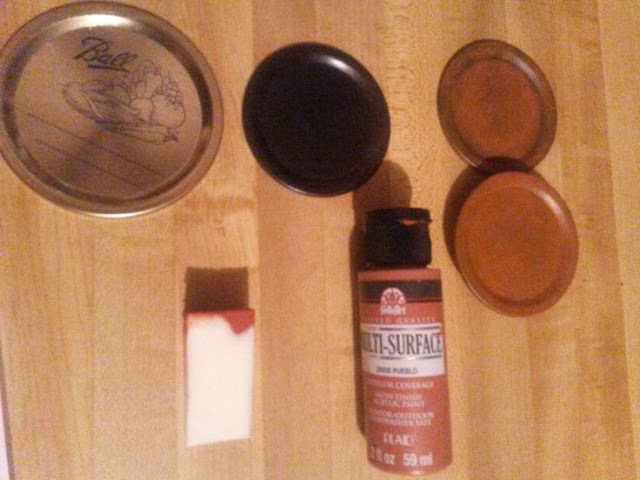 I just used a makeup sponge and kinda dob it on to give it a more worn look like so. See how the top one looks way cuter? I love it way better than the plain orange one I tried on the bottom. 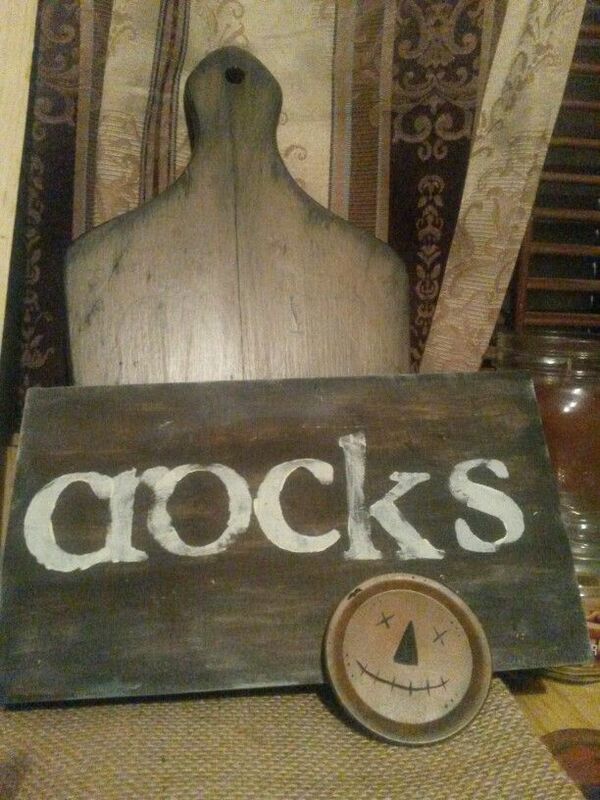 On it, I just went back and dobbed on some black paint with a sponge to make it more cuter too. 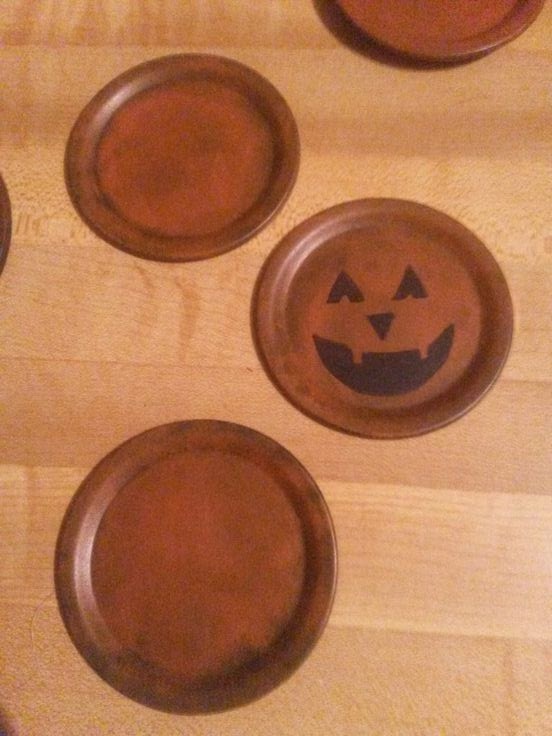 Then I started painting on some pumpkin faces. Just some basic ones at first. 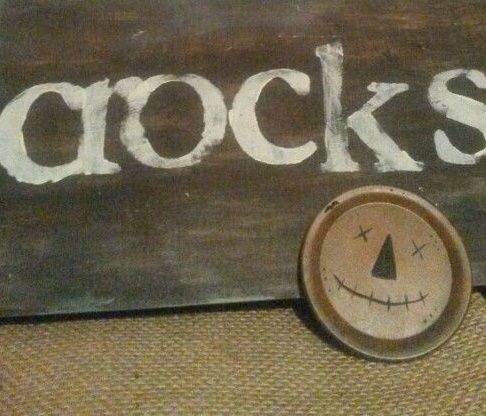 And then I got a little different now and then and added a "Boo" and a "Scarecrow" face. 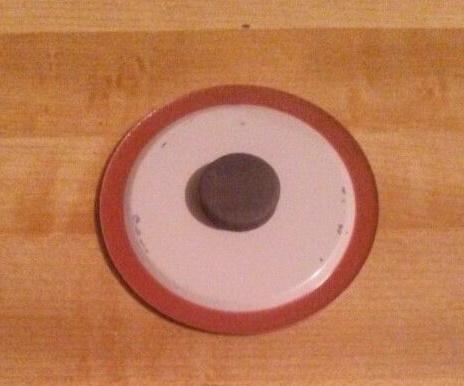 And then it was time to glue on the magnets to the back with the E-6000 glue. 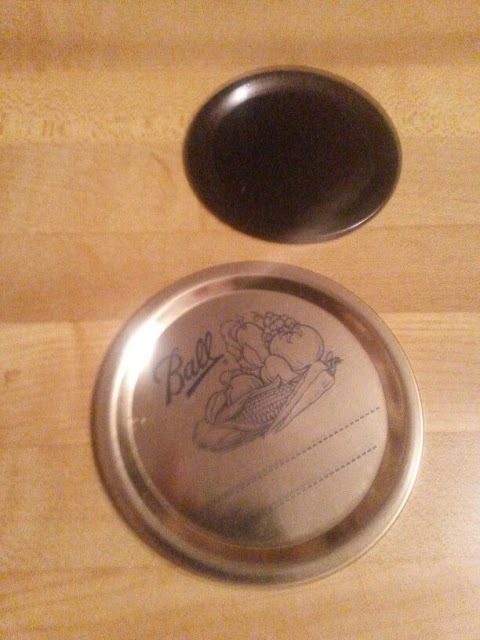 These are the 3/4" Button Magnets from Walmart that cost about $3.00 for a pack of 52. These two together make a super strong hold! 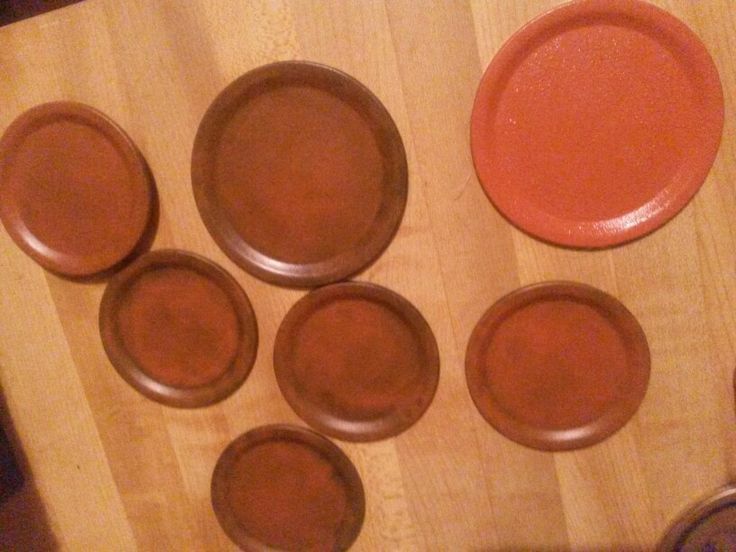 Let the glue dry for about five or six hours because it is super strong once it gets a good drying. And it will hold quite a few pieces of paper to your refrigerator too. And then there you have them, they are all ready to go. 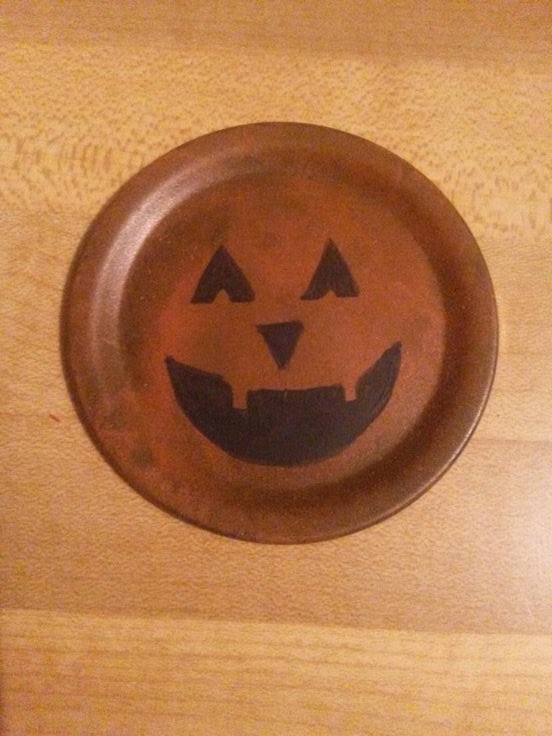 I think I am going to package these up and price them for maybe 2 for $1.00? Do you think that price is fair enough? I know they will look way cuter when they get in the packaging and I try to price stuff so that I won't loose money on the packaging materials either. Hope you liked these little Pumpkin magnets made out of ole' Mason jar lids. 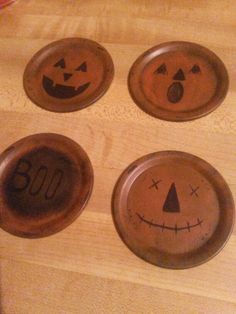 These pumpkin magnets may be simple but they are very pretty. Hi Nancy. Thank you. Yes, sometimes the simplest things make the cutest! They are so adorable! Betccha could do it tan and have some scarecrow faces too!